Along with the many millions of people worldwide who embrace caravans as their ‘homes from home’, Liz and Alan Colleran were troubled by the insomnia and back pain associated with caravanning, where the perfect leisure environment is so often compromised by a frustratingly uncomfortable bed. In 2003, the husband-and-wife team hit upon the idea of an innovative, superior, comfort-enhancing mattress topper that would not only dramatically enhance their lifestyle, but also fill an all too apparent gap in the market. Working from their family home, Liz and Alan set about making their dream a reality – commencing an extensive design process until Duvalay's lightweight, portable memory foam was born. Every day, we search for new ways to make it easier to sleep better. We believe that with the right product, anywhere can be a comfy, luxurious place to sleep – from a caravan in a field to your own bed at home. An immediate success, business flourished as satisfied customers endorsed and recommended the Duvalay – rapidly establishing its market-leading reputation. Unprecedented demand soon saw Duvalay relocate from the Collerans’ kitchen table to its first factory in Dewsbury, Yorkshire. Here, as enthusiastic customer enquiries flooded in, the original Duvalay portable mattress topper concept evolved – leading to innovative, custom-made and off-the-shelf mattresses, pillows and mattress toppers for boats, motorhomes, trucks, campervans, travel and the home. 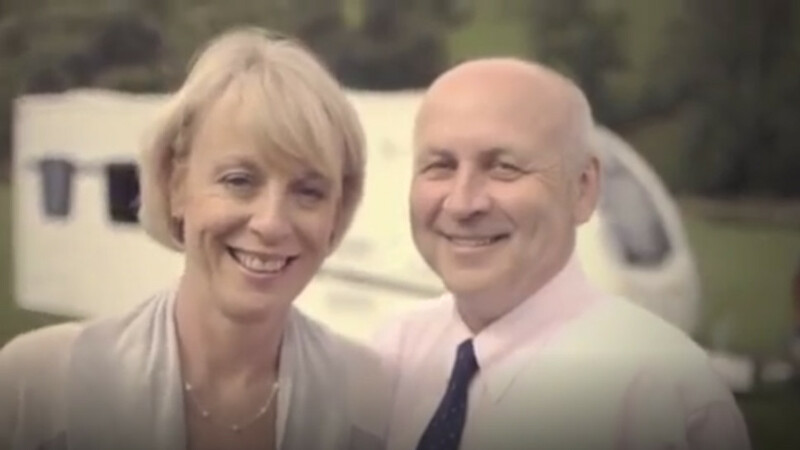 The Duvalay story rocketed to fame in 2011 when Liz and Alan – along with their much-loved, heroic flagship product, the Duvalay memory foam sleeping bag – embarked upon a nerve-wracking journey to the Dragons' Den. Their appearance on the hit BBC show led to national brand awareness, as well as a business-boosting investment by 'Dragon' and Pall-Ex empire founder Hilary Devey CBE. Fresh from the Dragons' Den, Duvalay outgrew its original factory and eventually moved on to a new site in Gomersal – complete with its welcoming and homely drop-in showroom, exciting enhanced production line and office space for its growing workforce. 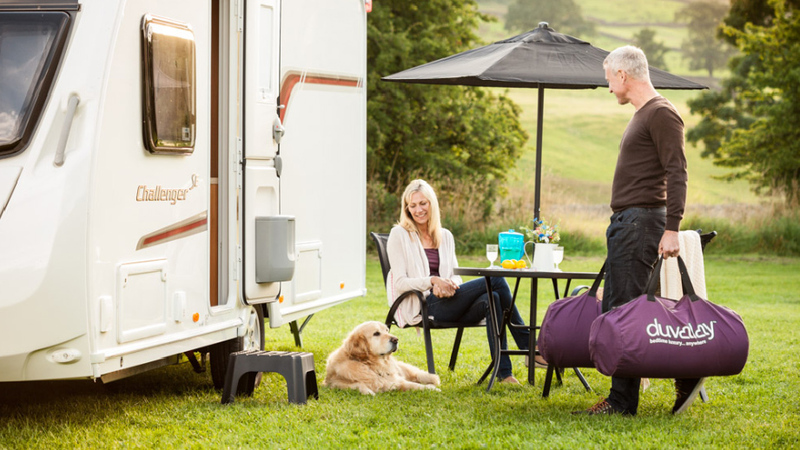 As caravan and motorhome manufacturers strived to make their vehicles lighter, in 2013 the Collerans realised the one component no-one had ever considered was the heavy pocket sprung mattress. Yet again, they came up with a solution – inventing and launching the Duvalite collection of shaped and bespoke caravan and motorhome mattresses. Made from recycled Coca-Cola bottles, Duvalite mattresses are up to 35 percent lighter than traditional mattresses – delivering cost savings on fuel consumption. The UK's largest caravan manufacturer, the East Yorkshire-based Swift Group signed a revolutionary deal to fit Duvalite mattresses as standard in their top-of-the-range caravans and campervans – paving the way for Duvalay to move to an even bigger factory and create more jobs for skilled Yorkshire workers. Recognising an opportunity to widen their business portfolio even further, the Collerans then began manufacturing mattresses, bed frames and divan sets for the home. The first collection was named after their Dragons’ Den investor, Hilary Devey, and launched in 2015. 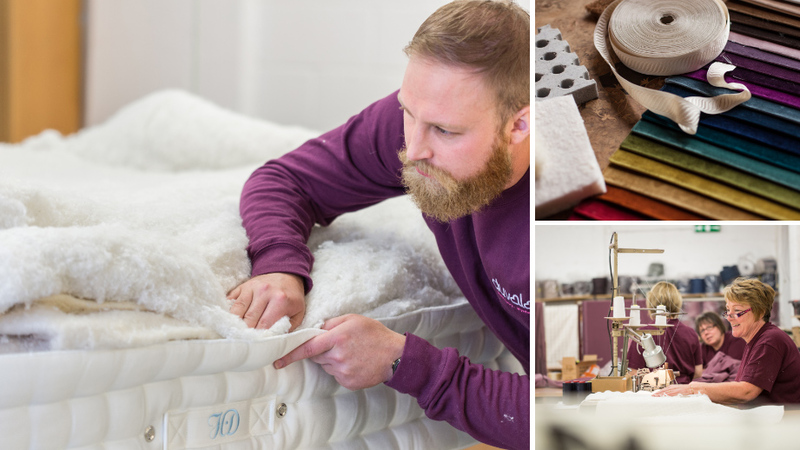 Having successfully established a UK-wide retail network within just 18 months – as well as receiving outstanding reviews from The Independent, Good Housekeeping Magazine and Mumsnet – Duvalay won ‘Bed Manufacturer of the Year’ recognition at the National Bed Federation’s Bed Industry Awards 2017-18 and 2018-19. 2018 saw Duvalay expand its product range with FreshTec® foam, which is designed to regulate body temperature and minimise sweating – encouraging deeper, less interrupted sleep. It comes with the tried and tested benefits of memory foam – including lasting pressure relief to ease aches and pains. Since its launch, FreshTec has won widespread industry approval – including excellent reviews in Motorhome Monthly Magazine (MMM) and Caravan Magazine. The past 12 months have seen Duvalay partner with a range of prestige brands – including Mercedes-Benz, Disc-O-Beds in the US, Arleigh International and GO Outdoors. Duvalay also signed an exclusive licensing agreement that permits Chinese manufacturers to produce and distribute Duvalay mattresses to the East Asian market. This landmark agreement in Duvalay’s history took the company truly global – bringing its brand of affordable luxury to China and Korea.